Image: Ghirlandaio, Domenico, 1449-1494. John the Baptist Preaching, from Art in the Christian Tradition, a project of the Vanderbilt Divinity Library, Nashville, TN. http://diglib.library.vanderbilt.edu/act-imagelink.pl?RC=56713 [retrieved December 12, 2018]. 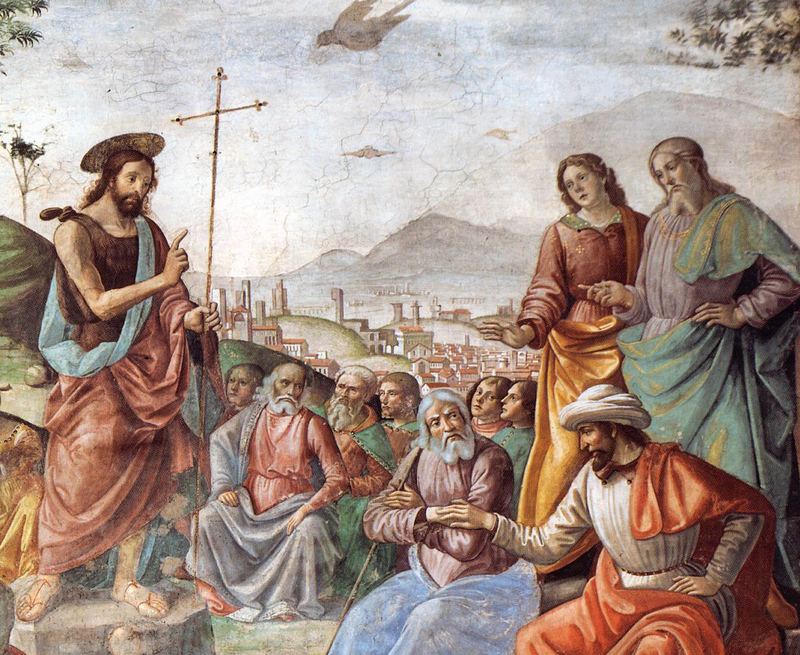 Original source: https://commons.wikimedia.org/wiki/File:Domenico_Ghirlandaio_- _Preaching_of_St_John_the_Baptist_(detail)_-_WGA8865.jpg.